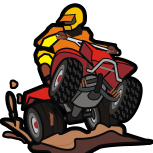 Posts about Yamaha atv models and manufacturer specific topics. 1987 Yamaha Warrior 350 - No Spark!! 1994 Yamaha Big Bear 350 - Dead And Alive !! 1994 ? YAMAHA WOLVERINE 2X4 250 STALLING. 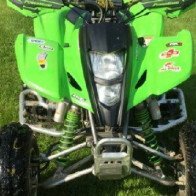 2005 Yamaha Bruin 350 4x2 help! YFM250 Moto 4 - Breathing new life.....help? Yamaha special "L" plug on head. Yamaha 400 Kodiak 4x4 help please.